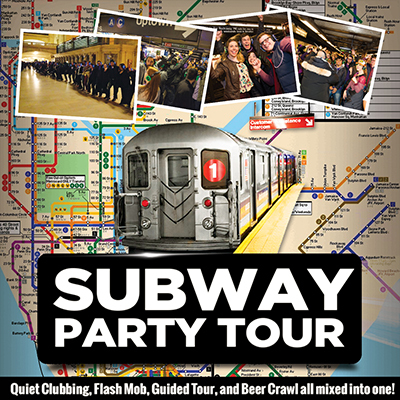 Underground Party - Subway Tour! This is a mix of a Flash Mob, Dance Party, and City Tour all mixed into one incredible night. Seriously, it will be one of the best nights you have for so many reasons! Ticket holders will also get free access to the Mardi Gras Party @ Bohemian! Ticket holders get free access to the Mardi Gras Party @ Bohemian! If you've never attended one of our Mobile Parties, check out the video below to get an idea of what you're in for! You won't want to miss it.